Built-in 3 in 1 dimming function - 0-10Vdc, PWM signal or resistance. 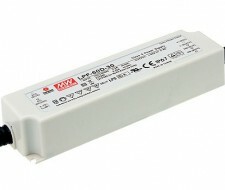 Suitable for 12Vdc or 24Vdc LED lighting products. Compliant with worldwide safety regulations - short circuit, over current, over voltage & over temperature protected. High efficiency up to 90%. Fully encapsultated with IP67 rating.